California is, unarguably, the worst state to drive in. Between the beaten down country roads and the catastrophically congested city traffic, it’s easy to absolutely lose your sanity. The only thing that seems to be worse than driving in California is driving in the worst cities in California. Wallethub.com conducted an intense survey that ranked the worst and best cities to drive in. No surprise that California had several hotspots on the list, more than any other state. So, if you recently passed your California Driver’s Ed class, it may be best to steer clear of these. It may even be smart to take a detour around the cities listed below. However, if you do find yourself in one of these cities, may God have mercy on your soul. Irvine is the best of worst cities in California for driving. Nestled in Orange County, the area is known for its balloon rides, children’s museum, and – now – its devastatingly horrendous driving statistics. Irvine? More like Erk-vine! This place really erks drivers. Ranked 34 out of 100 cities nationwide. Sacramento isn’t just the capital of California. It’s the capital of being a horrible place to drive through. Fun fact about Sacramento, in 2014 the fatality rate for drivers was 7.6/1,000 drivers. Ranked 53 out of 100 cities nationwide. Riverside is a city just outside of Los Angeles. The city maintains a vibrant life of professionals and residentials, which is ironic, because driving through it makes you feel lifeless. Ranked 54 out of 100 cities nationwide. Fresno is the 5th largest city in California – by land mass. That means, there’s plenty of room to demonstrate how horrible of a city it is to drive in. 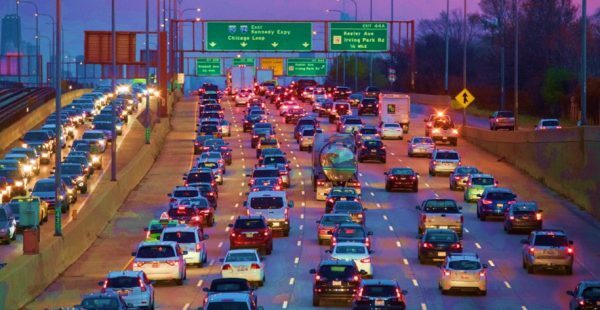 Between lack of maintenance shops, highway navigation, and vehicle related crimes, this city is understandably ranked among the worst cities to drive in. Doing a quick Google search will give you nothing but car related crimes. Ranked 55 out of 100 cities nationwide. Chula Vista is a city just south of San Diego. The city has a nice brewery scene, which could account to why all the drivers are terrible. The only thing more beautiful than the neighborhoods are the how horrible the road systems are. Ranked 61 out of 100 cities nationwide. The first bay city to make the list is Fremont. It’s beautiful docks bring in plenty of ship crewmen and sailors, which is most likely why everyone seems like they can’t drive on land. Ranked 64 out of 100 cities nationwide. Bakersfield is baking with atrocious drivers. The city straddles the Kern River just north of Los Angeles and also straddles the traffic that goes through the area. Driving through Bakersfield is similar to parking your car in a large parking lot – the traffic won’t move. Ranked 65 out of 100 cities nationwide. Anaheim, the city, might get a pass for this one. The reason why traffic is horrendous is because of the massive tourist magnet that is Disneyland resort. Populating the area with out-of-towners, the resort brings nothing by doom, mayhem, and family fun with a charm. Ranked 69 out of 100 cities nationwide. San Diego is the southernmost metropolis of California. It’s area engulfs nearby cities, towns, and neighbors. It’s traffic is no different. Everyone in the area will feel the big city bogusness bogging down the area with it’s confusing infrastructure, lack of public transportation, and bumper to bumper traffic. Ranked 71 out of 100 cities nationwide. The second city on this list from Orange County is Santa Ana. It’s known for two things: not being Irvine and it’s high crime. Traffic conditions aside, this place doesn’t have much to drive to. Ranked 73 out of 100 cities nationwide. Stockton is a quiet are. Driving through the city you can hear the native sounds of honking and yelling as drivers become peeved driving through the area. It’s music to the locals ears. Aside from that, they’re also known for their museums. Ranked 80 out of 100 cities nationwide. Long Beach gets its name from the amount of time you get to spend in traffic going to the beach. This coastal city brings in lots of interested people to the beaches to soak up some sun and exhaust from traffic. Ranked 84 out of 100 cities nationwide. Just east of Los Angeles is the city of San Bernardino. You can find a vibrant town vibe and a breathtaking view of the mountains. Which is great, because if you ever visit, you might be stuck in the gridlocked roads. Don’t forget camping gear! Ranked 87 out of 100 cities nationwide. The city surrounded by hills in the tech capital of the world: Silicon Valley. If only they were able to invent a better vehicle focused town instead of a new app, they might be worth driving through. Ranked 88 out of 100 cities nationwide. The only surprise about Los Angeles being on this list is that it isn’t #1 on the list. The City of Angels has made huge headlines across the country with its traffic congestion confusion. Moreover, LA is the only city in the country where walking just might be faster than driving. Ranked 92 out of 100 cities nationwide. Ranked 98 out of 100 cities nationwide. Finally, San Francisco took the title of being the absolute worst city in California for drivers. This city could be the root cause of poor road conditions, angry drivers, and vehicles breaking down on the highways. But, at least they have the biggest bridge in the country! Ranked 99 out of 100 cities nationwide.